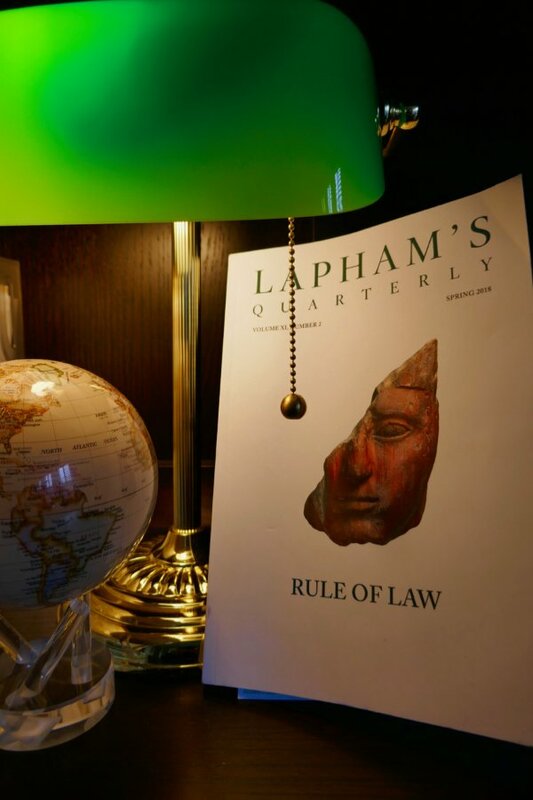 Lapham’s Quarterly Spring 2018: Rule of Law, review pt. 1 | John's Space …..
I’m neither prescient nor wise beyond my years, but lo and behold, what to my wondering eyes should appear upon receiving the LQ spring issue recently? RULE OF LAW! Ahh. Great minds think alike. Or at least think. Sometimes. This subject is worth scrutiny. Let us begin with the table of contents. Greeks and Romans are represented, among them Plutarch, both Greek and Roman. Napoleon Bonaparte. (Have you heard of Napoleonic Law? Perhaps we will be enlightened.) David Frost and Richard Nixon. I suspect there will be minds that don’t think alike. Frederick Douglass for the former slave and abolitionist perspective. Cotton Mather for Puritan’s progress. Anne Boleyn may have insight on her pending demise. Chilling. Franz Kafka, always thought provoking to me. 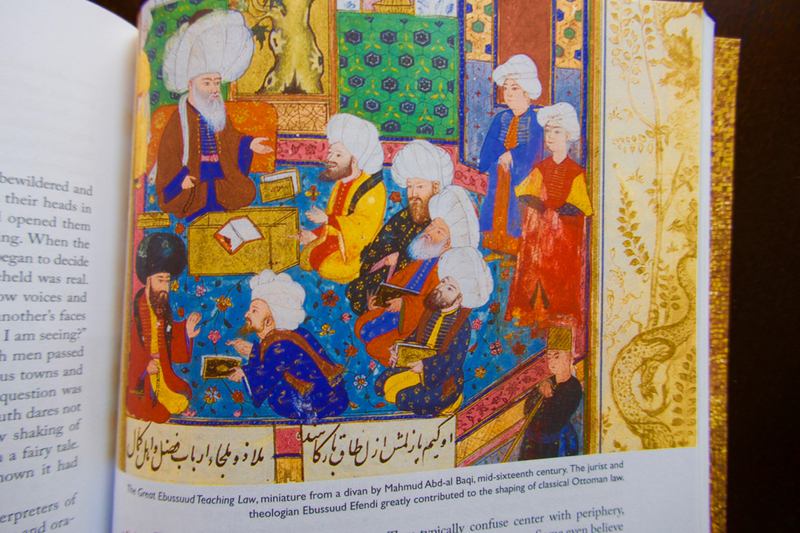 The Egyptian Book of the Dead and The Mahabharata. We can learn from the Ancients, I’m sure. John Marshall, Nietzsche, Lewis Carroll, Kant, Locke, (notice how philosophers are recognizable without first names? ), Oliver Wendell Holmes Jr., Elizabeth I, Catherine the Great, John Paul Stevens (who better to speak on law than U.S. Supreme Court Justices?). This promises to be an intriguing issue. I don’t know about ‘no will of their own’, but a stake in the game? Some merit perhaps, but try to change that now? No way. Evolution for better, or devolution for worse. Mr. Lapham continues, discussing the Founding Fathers view of property as essential to liberty. They were wealthy. George Washington’s net worth was $580 million, inflation-adjusted to 2016. Thomas Jefferson’s was $234 million. This was when the U.S. population was 4-7 million people ( https://en.m.wikipedia.org/wiki/United_States_Census ), not 308 million as of 2010. Likely they rode their horse to town and mingled with less wealthy people (nearly everyone else?). 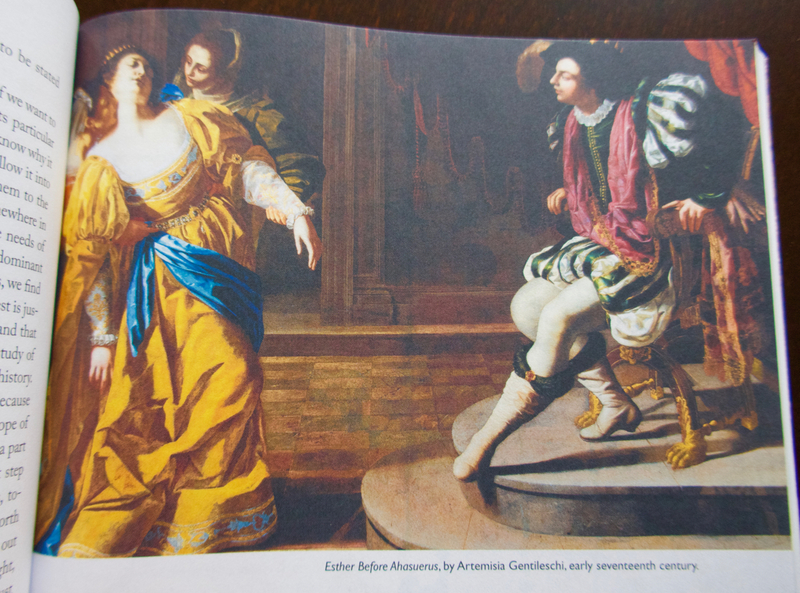 I read history via Lapham’s Quarterly to learn the past, understand the present, and ponder the future. My goal during this administration (presidential?) is to survive it. Will our constitutional republic survive it? We have a dictatorial president, and a dysfunctional congress of 535 members who failed at getting things done long before the current dictate-er arrived. Will the next election find us whip-sawing in the other direction to elect someone firmly embedded in far-left progressive socialism, the modern metamorphosis of old school communism, led, perhaps, by the occasionally rabid pit bull of a woman Elizabeth Warren? (Kidding of course.) That would be just as bad I think. Hold on to your hats. It’s going to be a ride. If you think Lewis Lapham’s Preamble deserves further inspection, it is available online at https://www.laphamsquarterly.org . 1. Since L.Q.’s inception with the Winter 2008 issue its size is always 7″ x 10″ x 1/2-17/32″. 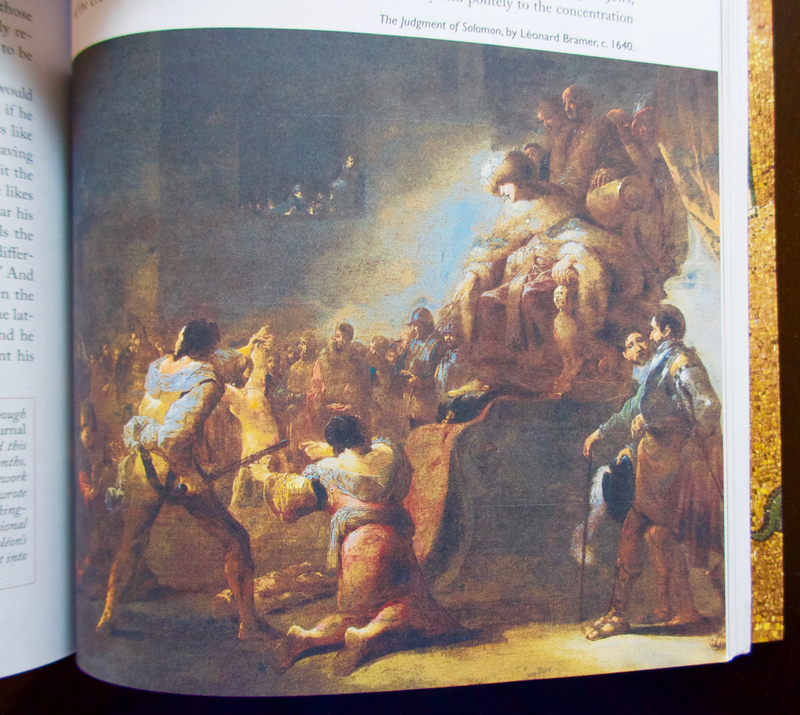 It is white-covered, printed on high quality paper throughout, with richly printed reproductions of fine art from time immemorial, and 221 pages up to a page or two of addenda at the back. 4. I encourage all to subscribe to this fine publication. It is a rich supplement to anyone’s reading. Gallery | This entry was posted in Book review, Books, History, Lapham's, Lapham's Quarterly, Law, Law and Order, Literary Journal, Literary Review, Literature, Litigation, Philosophy, Reading, writing and tagged Anne Boleyn, Barack Obama, Bill Clinton, Catherine the Great, David Frost, Donald J. Trump, Donald Trump, Egyptian Book of the Dead, Elizabeth I, Elizabeth Warren, Founding Fathers, Franz Kafka, George Bush, George Washington, John Jay, John Locke, John Marshall, John Paul Stevens, Kant, Lapham's Quarterly, Lewis Carroll, lewis lapham, Locke, Mahabharata, Napoleon Bonaparte, Nietzsche, Oliver Wendell Holmes Jr, Plutarch, Richard Nixon, Ronald Reagan, Thomas Jefferson, William Blackstone. Bookmark the permalink. Our republic is fascinating and so is this review. Lok forward to the continuation….